who is the artist of LLL ? i wonder...who did all the beautyfull Lady Lovley Locks Illustraitons ? Re: who is the artist of LLL ? 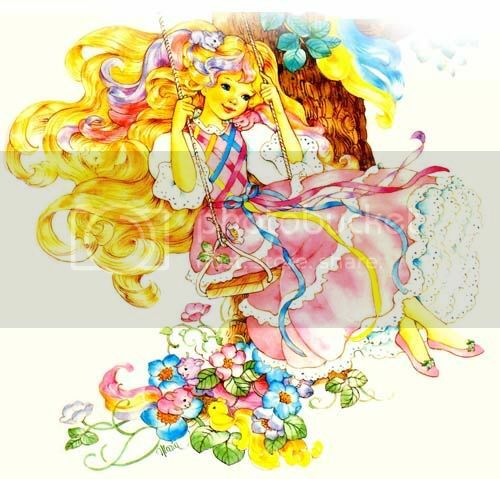 I believe it is Justine Korman (Fontes) - she is an author and illustrator of many golden books and it seems that her name is the only name associated with the LLL books. Wait, I also came across the names Don Williams and H. R. Russel so I fell like it HAS to be 1 of them! Sorry I couldn't help more but I will keep trying! So after all that I came across this ebay listing that says Pat Paris is the illustrator, so now I am really confused!! Sorry!! At least I narrowed it down some?? The cover on that last one has a really different style from the image in the original post. Maybe it was like in animation/cartoons where they kind of have rules for the character and different artists create it? (And maybe add a little of their own spin to it). I am not an artist and have never studied it or really talked to a professional illustrator. That just seems like something I remembered from some kind of commentary on a movie or cartoon I remember watching (cartoon characters in general, not LLL specifically)? I feel like it must have been since none of the books seem to have an illustrator but most have that 1st woman's names so I dunno!